Last week I made three different things from Pinterest and all of them were a bust. However, this drink makes up for all the misses last week. 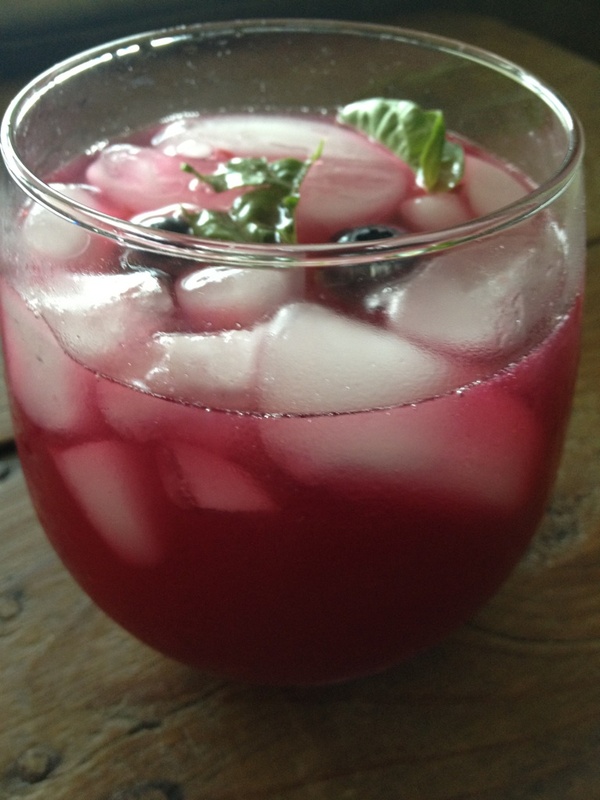 I LOVED this refreshing drink and next time I am going to double the recipe because we drank this blueberry goodness in one sitting. This recipe makes enough for 3 drinks. 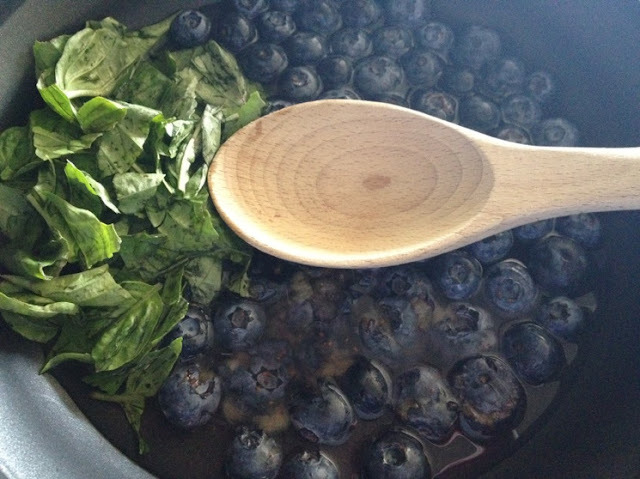 To make the blueberry syrup, combine blueberries, Sweet 'N Low, basil and water in a sauce pan. Before heating, use the back of a wooden spoon to press down the blueberries (or muddle the berries). Simmer on medium heat until the Sweet 'N Low is dissolved, about 8 minutes. Cool, STRAIN the syrup in a bowl and refrigerate for at least an hour. 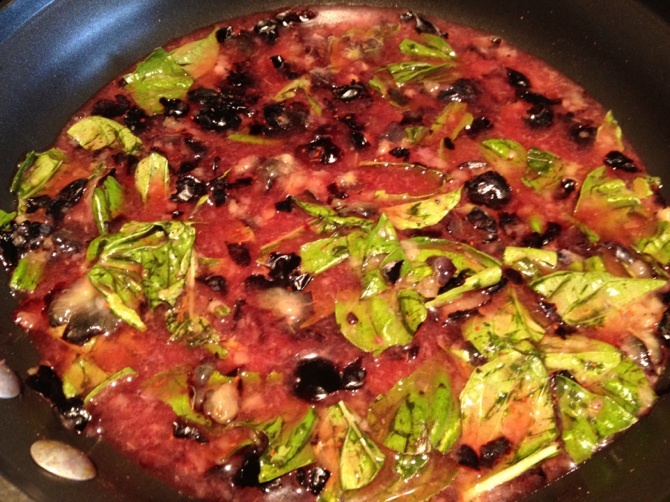 Discard the strained basil and muddled berries. 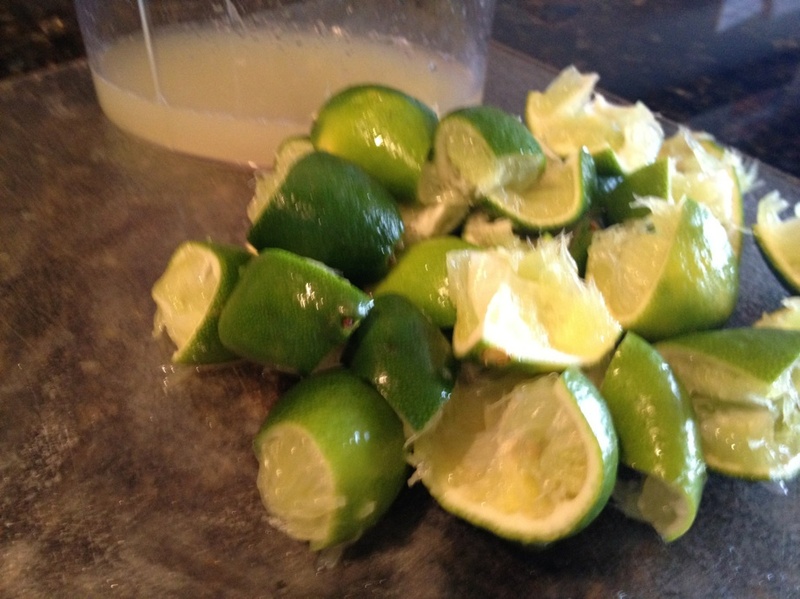 Squeeze your lime juice into a pitcher. 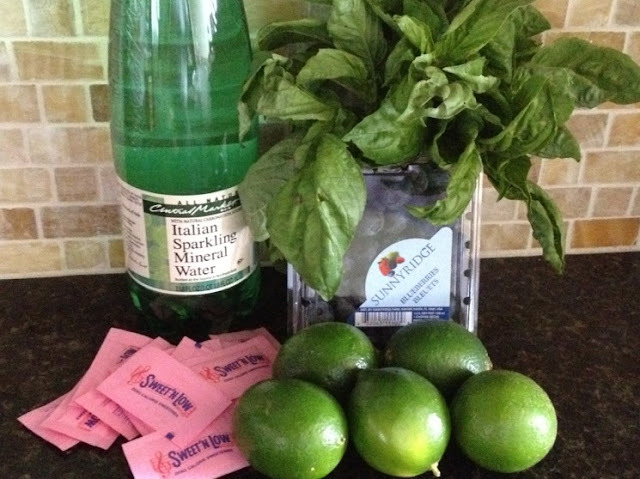 Add your blueberry simple syrup and sparkling water as well in that same pitcher and stir. You may want to add another cup or two of sparkling water depending on how sweet you like your limeade. Pour over ice filled glasses and garnish with lime wedges, basil and blueberries! Enjoy! If you do not have sparkling water, you can substitute with chilled water but I think the carbonation makes this drink! Also, if you feel inclined, add some vodka, wine or rum and you will have one tasty cocktail.